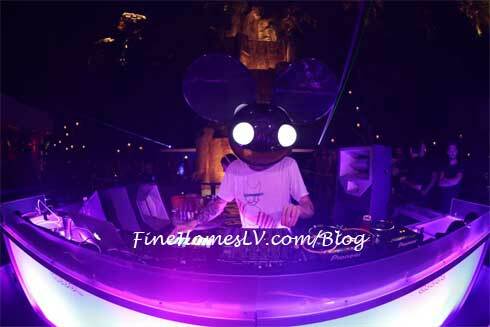 Electronic dance music phenomenon, deadmau5, made his venue debut at Tryst Nightclub inside Wynn Las Vegas Saturday, September 1. The intimate venue was packed from the terraced outdoor lagoon to ruby red library, with revelers anxiously awaiting the arrival of the master of ceremonies. Shortly before 1 a.m., the producer took the stage that was specially designed for Labor Day Weekend, hovering over the lagoon and directly in front of the 90-foot cascading waterfall. 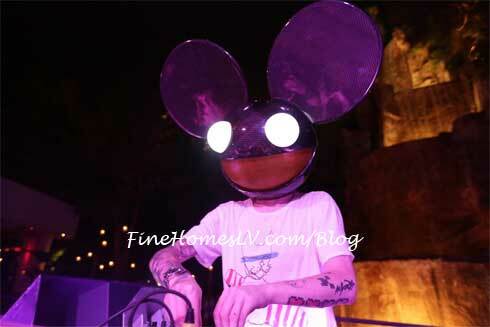 The sea of fans donning glowing mouse ears erupted in excitement as deadmau5 flowed into his first track. Fog cannons boomed from the stage and an incredible laser lights show beamed throughout the nightclub. The waterfall doubled as a video screen as streaming graphics added to create the one-of-a-kind set. Known for sporting an illuminated mouse head, deadmau5 toyed with the crowd by joining them in wearing glow-stick ears. After producing multiple tracks on the fly, the lights dimmed and he grabbed a sleek, black, oversized mouse head, almost disappearing into the darkened venue, before cuing the music and illuminating the beaming eyes. Fans went wild as hit track, “The Veldt,” off his upcoming album, Album Title Goes Here, exuded from the speakers. 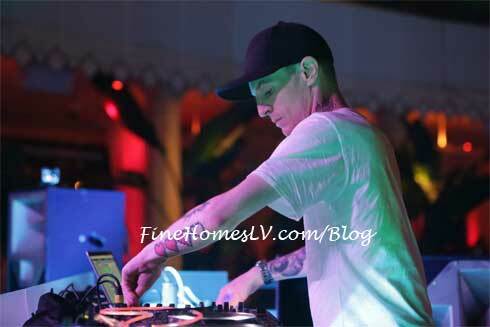 As the evening turned into early hours of the morning, deadmau5 banged out club anthems “Ghosts ‘n’ Stuff,” and “Some Chords” before calling it a night. The resident DJ will return to Vegas for WynnSocial.com Weekend for a special set at XS Nightclub following his performance at the iHeart Radio Music Festival on September 22. 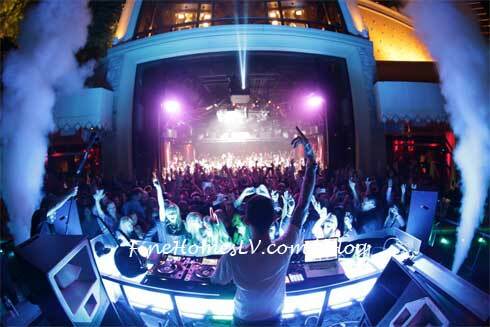 Photos credit: Danny Mahoney/Tryst Nightclub.